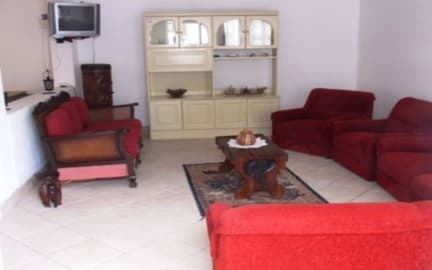 Loubser’s offer the tourist/backpackers affordable accommodation in private rooms, dorms or a self-catering unit. The property is situated in the quiet lagoon area of Walvis bay. A range of activities can be partaken in Walvis Bay and we do some and can arrange with the operators for you to do the activities of your choice. This include, Kite /wind surfing, Quad biking, Historical Desert tour on a quad, Birding, Dolphin/Seal cruise, Living Desert , Topnaar tour either by quad or 4x4, Sandwich Harbour Tour, Moonlandscape/welwitchia tour etc. Skeleton Bay Surfing: We provide transport or arrange it to be taken to the surf spot, arrange the airport pickups etc. for the people coming to surf this renowned wave. We also do Camping tours to various destinations and accommodated tours of Namibia. These tours can be tailored to suit the individual request. Airport and bus pickup can be arranged with us by prior notification. Situated in the Lagoon area of Walvis Bay we are 350 m from the lagoon. Restaurants, waterfront and shops are all within walking distance. Double en-suite: x2. 2 rooms are fitted with a single double bed. These rooms are for private use by couples wishing to have some privacy. The bathrooms have a shower/toilet and towels are provided. Kettle for tea/coffee and a small fridge. TV with local content. All bedding is provided. Twin bed room: x1. The twin bed room have 2 x single beds and a separate private bathroom. The room is equipped with a kettle for tea/coffee, small fridge. TV with local content. Towels and all bedding provided. Dorm rooms: x2. The 2 x dorm rooms are fitted with 2 double bunks each and have an en-suite toilet/shower. The dorms are also equipped with a kettle for tea/coffee, a small fridge, TV. All bedding provided. These dorms can be used as mixed dorms or when needed as male and female dorms. Self Catering unit: x1. This unit is of an open plan design and have all beds in a large room. The bed setup is 2 x double bunks 2 x single beds and 1 x double bed. The unit has a sitting area with TV and a fully equipped kitchen. The bathroom is fitted with a shower /toilet. Ideal for a family or a group of friends travelling together. All bedding provided. The unit can also be used as a dorm for bigger groups when needed. Reception is open from 7 am to late.